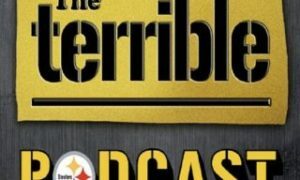 Season 4, Episode 16 of The Terrible Podcast is up and co-host David Todd and I start the show off by talking about the injured players the Pittsburgh Steelers have heading into the season and also discuss the most recent transactions made since our last show. Head coach Mike Tomlin held his first press conference of the regular season on Tuesday so we briefly recap a few of the things he had to say. Will rookie linebacker Jarvis Jones get much playing time in the season opener? We discuss that as well as the running back load distribution that we are expecting to see. Will Markus Wheaton get a chance to return a punt or two on Sunday? We talk about that and mix in a few other talking points as well. In part two of the podcast, we are joined by David Boclair who writes for the Nashville Post and we get his thought on the Tennessee Titans heading into the season opener. Make sure to read Boclair’s work at http://nashvillepost.com/sports and follow him on Twitter @BoclairSports. 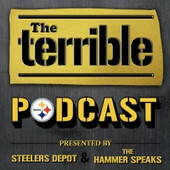 Please sit back and enjoy Episode 16 of Season 4 now of The Terrible Podcast.